So I have my level blocked out but I'm not sure of the best way to approach a waterfall. What I'm trying to do is a waterfall with a room behind it which is accessible by walking through the falls. Right now what I have is a non-solid brush with a vertical panning water texture on it and it doesnt look great. 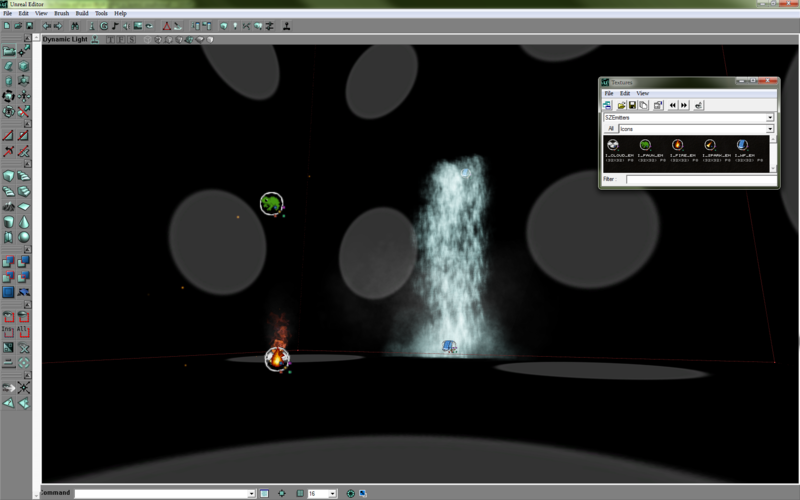 I want it to look like fast falling water but I dont know how to control the texture panning speed. Or is there a better way to do this? An animated texture for instance? Lastly, it would look a lot better with some mist or fog at the bottom of the falls or maybe some splashing water texture. How can I do this? Some screenshots would be nice ...there are many ways to make a waterfall. You might want to see also MH-SkaarjTower whatever - there is a cascade around lake zone... check which zone is there and track properties. stretching a texture (obviously) makes it's respective panning speed stretched(faster), that can be used to achive such effect.